Companies use mobile engagement to deliver positive brand experiences, support their business goals, and build long-term relationships. 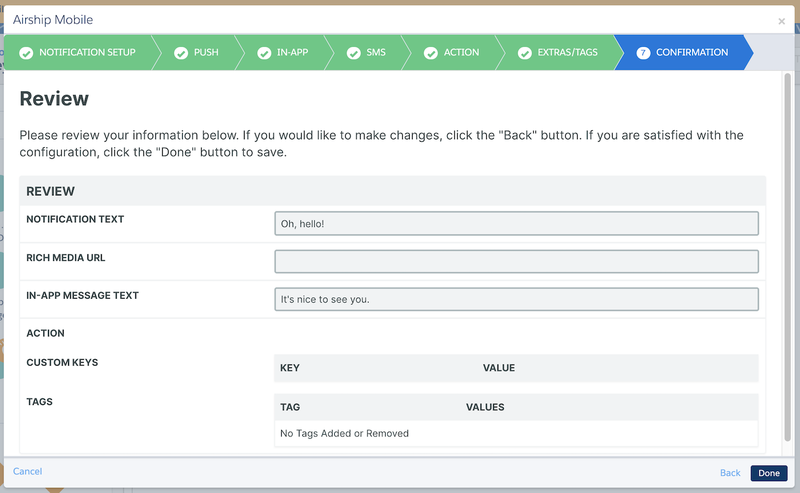 You can coordinate all your engagement campaigns within the Salesforce Marketing Cloud (SFMC) Journey Builder. Easily zero-in on the exact mobile insights necessary to drive automated and targeted actions in other systems, through Airship's Journey Builder integration. Additionally, you can send all of your mobile data to SFMC via Airship Connect. Setup steps for both the AppExchange and Connect integrations are documented here. Initiate campaigns with easy-to-use tools that don’t require a development team. With Airship, you can add mobile and web messaging to any customer journey that will deliver in-the-moment value to your app audience. Send targeted campaigns to onboard, activate, retain and re-engage your customers. Easily zero in on the exact mobile insights necessary to drive targeted actions in other systems. Most companies have multiple apps for various purposes - now you can easily configure them all in this integration and target them in individual campaigns. Do more with your messages by adding Actions (Deep Links, Landing Pages, Tagging, etc.) and Extras (Key/Value pairs available to the app upon direct open). Understand and leverage how and when your users are using (or not using) your app in the Marketing Cloud interface. Use cross-Channel marketing to re-engage users when they uninstall your app or convert on their mobile device. After completing the Journey Builder setup, learn how to configure activities in Custom Mobile Activity and Custom Web Activity below. This integration requires Named Users. Named Users are a system for mapping customer-chosen IDs to anonymous device IDs, supporting integrations with CRMs or other backend databases. 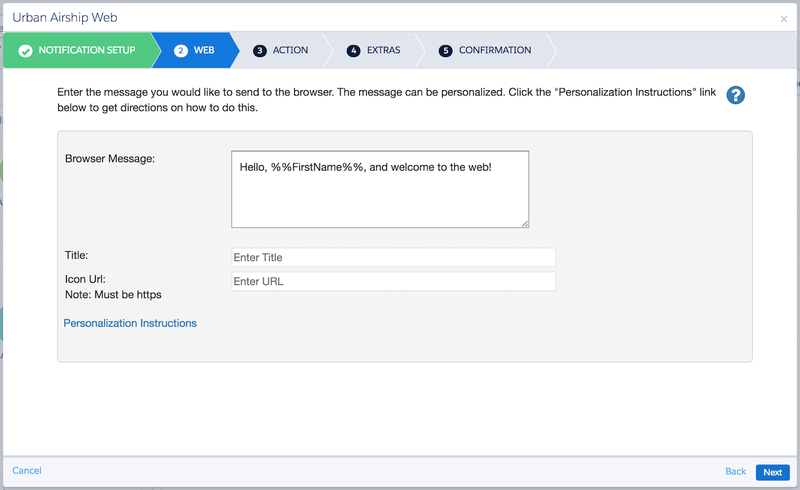 The Named User ID set on a device must map back to a data extension within Salesforce Marketing Cloud. Without this Named User set, Airship will not be able to target a specific device. See our Named User documentation to set the Named User ID for a device via the iOS SDK, Android SDK, or the server-side API. 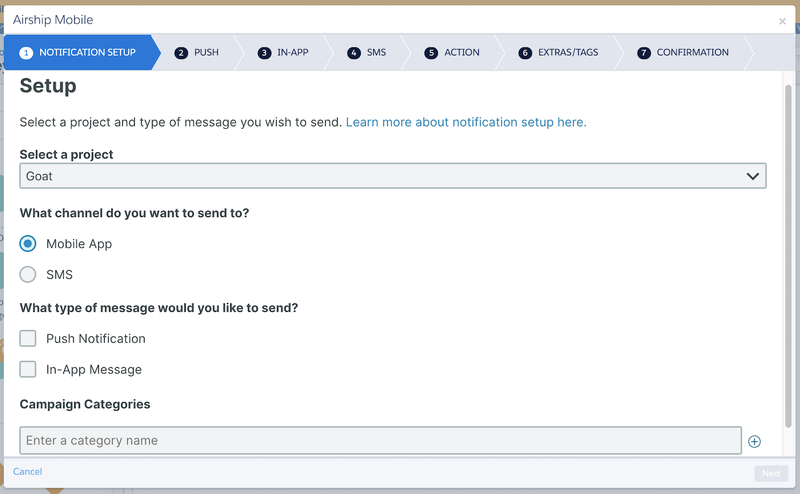 Add the Airship Engage app to Salesforce. Airship Sales will contact you to complete the process. You will be notified via email when Salesforce has been added to your account, and the email will include an installation link to add the app to your Marketing Cloud instance. 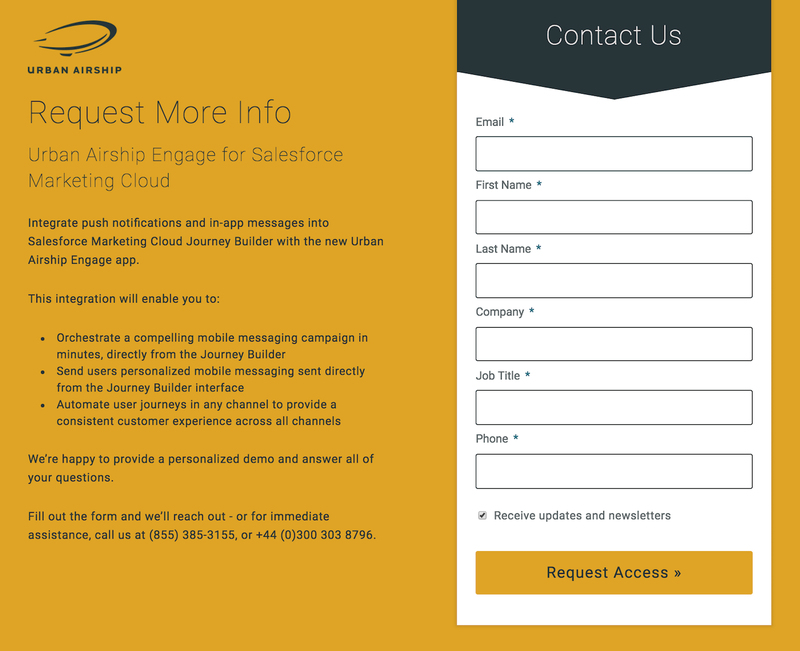 Configure the Airship Engage app in the Salesforce Marketing Cloud. You must complete these steps for each Airship project you would like to use with Journey Builder. Open your instance of Salesforce Marketing Cloud. Hover over AppExchange in the navigation header, then click Urban Airship from the list that appears. Click the Add Application + button, then configure the app. 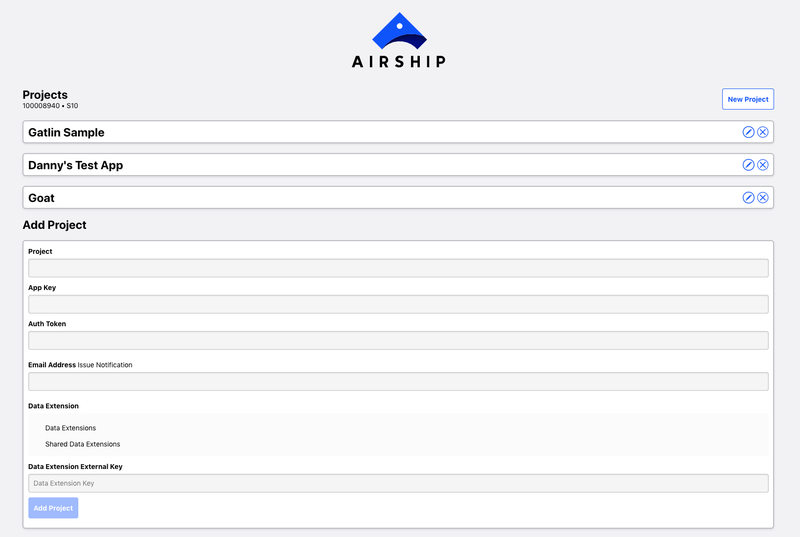 App Name: You will likely want to enter the same name as your Airship project. Named User Data Extension: Click to select the Data Extension that contains a field that maps to Named User, and select that matching field from the Available Fields dropdown menu. Issue Notification Email Address: Enter the email address where you would like to be notified of any issues with sends. Click the Add Application button, or Cancel to discard. 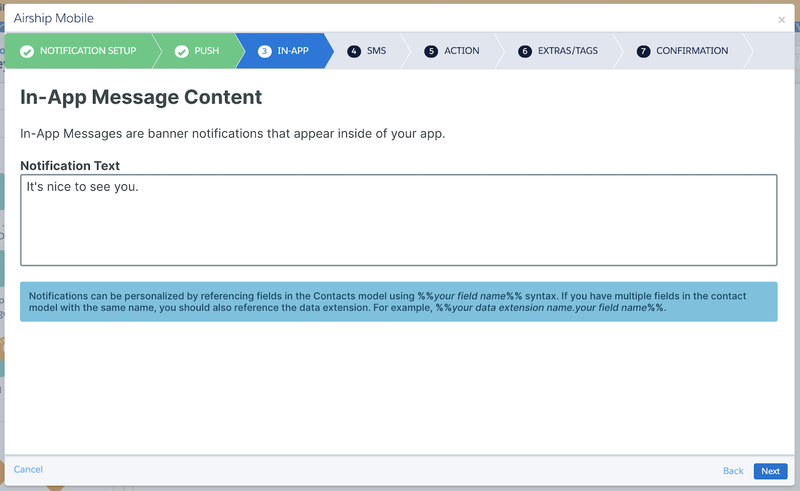 The Data Extension field that matches your Named User must be linked back to the Contact Model. This is done using the SFMC Data Designer. If you need assistance with this step, contact your SFMC administrator. An API user account username and password. Be sure to give the user the privileges needed to add, edit, and insert data into Data Extensions. If these items are not available to you, contact your SFMC admin. Under the Connections heading, click Salesforce AppExchange. Enter SFMC Setup data specified in the note above. If you do not have this information, contact your SFMC admin. After a short period of time, Connect will create a directory called "airship" in your Data Extensions root folder. The folder will contain 20 Data Extensions. 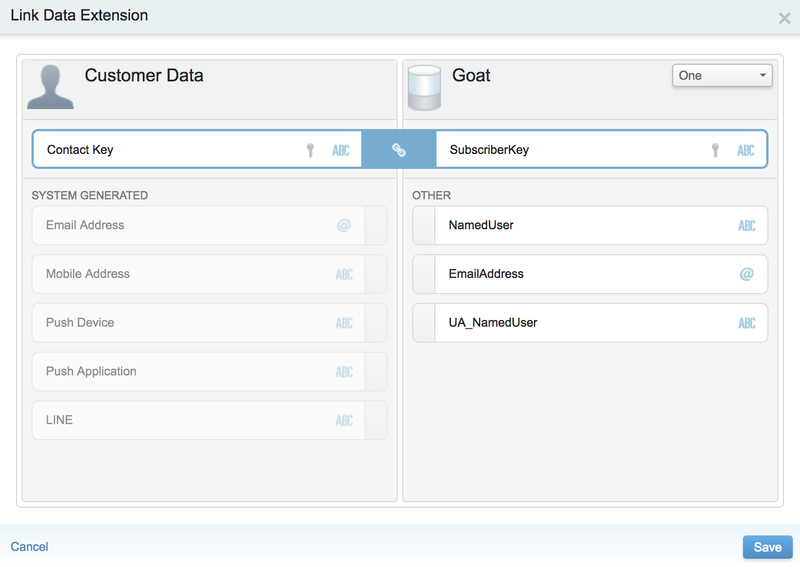 Only the Data Extensions that correspond to your selected Event Types will be populated. DO NOT EDIT these Data Extensions or you may break your integration. Once the app and Data Extension are configured, Airship Mobile and Web Activities can be used in a Journey. These steps walk you through creating a Mobile Activity. Hover over Journey Builder in the navigation header, then click Journey Builder from the list that appears. Drag the Airship Mobile icon onto the Journey Builder Canvas and position it in the correct point within the Journey. The position of the Activity within the Journey can also be modified after setup. Click icon for the Airship Activity you just positioned. This will open the Activity details, which is where you can modify details about the campaign. Select an app from the dropdown menu, and check the boxes for the types of messages you would like to send within the campaign. Optionally enter a Campaign Category. Click the + (plus sign) icon to add an additional category field, 8 categories maximum. To delete a category, click the trash can icon at the end of its row. Click the Next button to move on. If Push was not selected in the Notification Setup step, you will automatically skip to the next step. Enter the text that will display in your message. Push notifications can be personalized similarly to Marketing Cloud email campaigns. To use personalization data, refer to fields in the Contacts model. These references use the AMPScript syntax, e.g., %%your field name%%, which will find the first field in your contact model that matches that field name and use its value for the contact's personalization. 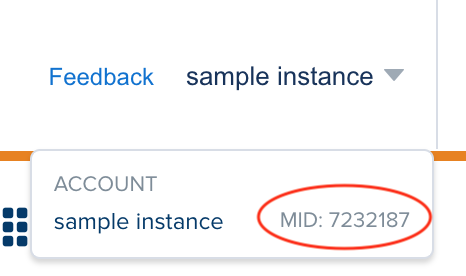 If you have multiple fields in the model with the same name, you should also reference the data extension name to ensure you use the intended field, using the format %%data_extension_name.field_name%%. If In-App was not selected in the Notification Setup step, you will automatically skip to the next step. Enter the text that will display in your message. If you also included the Push message type, you may optionally check the box to Copy from Push. In-app messages may be personalized. See note in the Push step above. Select a Message Action from the dropdown menu. Optionally set Custom Keys or define Tag behavior. 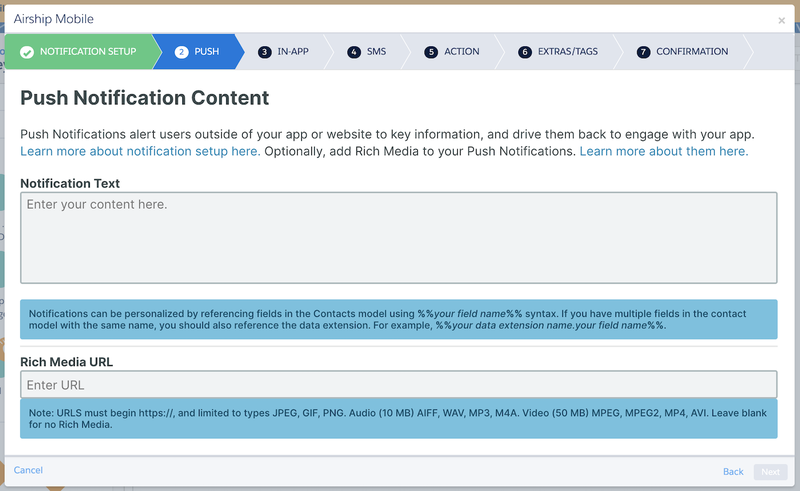 Custom Keys, also known as key/value pairs, allow you to pass extra data through your Push Notification payload for use by custom code in your app. 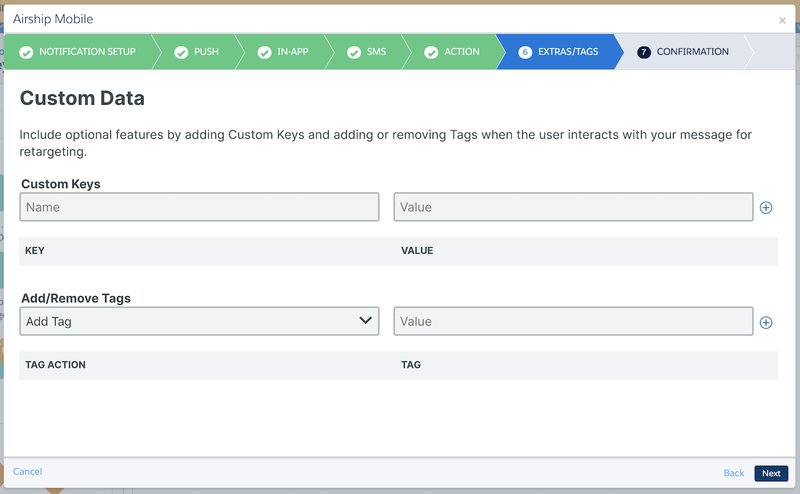 Common uses of custom keys include passing additional campaign identifiers for analytics, passing user profile information to the device, controlling the look and feel of the app, providing image links, etc. Enter the key name and value, then click the + (plus sign) icon. To delete a custom key, click the trash can icon at the end of its row. Select Add Tag or Remove Tag from the dropdown menu, enter the tag value, then click the + (plus sign) icon. To delete a tag, click the trash can icon at the end of its row. If you would like to make changes, click the Back button to return to a previous step, make your changes, then click Next to return to the Confirmation step. Click the Done button to save the Activity. 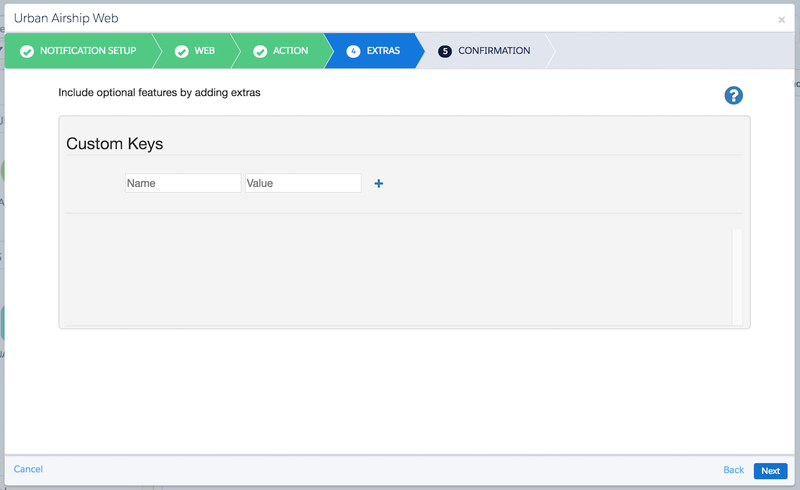 Be sure to complete the remaining Journey Builder configuration steps. Once the app and Data Extension are configured, Airship Mobile and Web Activities can be used in a Journey. These steps walk you through creating a Web Activity. 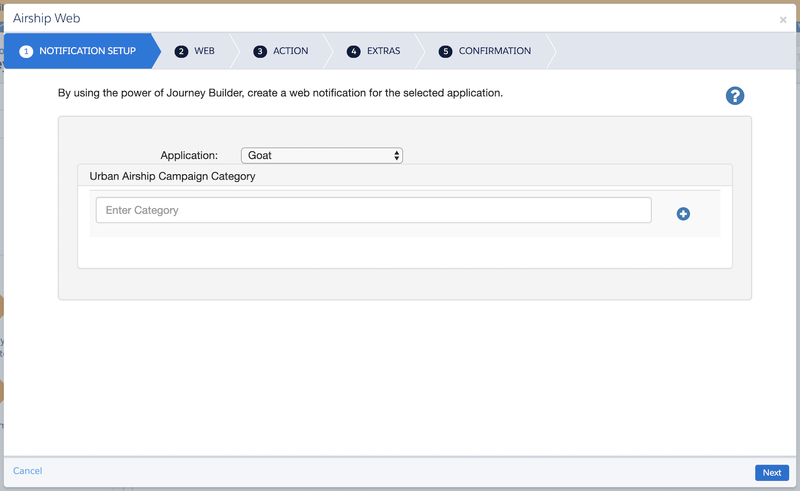 Drag the Airship Web icon onto the Journey Builder Canvas and position it in the correct point within the Journey. The position of the Activity within the Journey can also be modified after setup. Select an app from the dropdown menu. 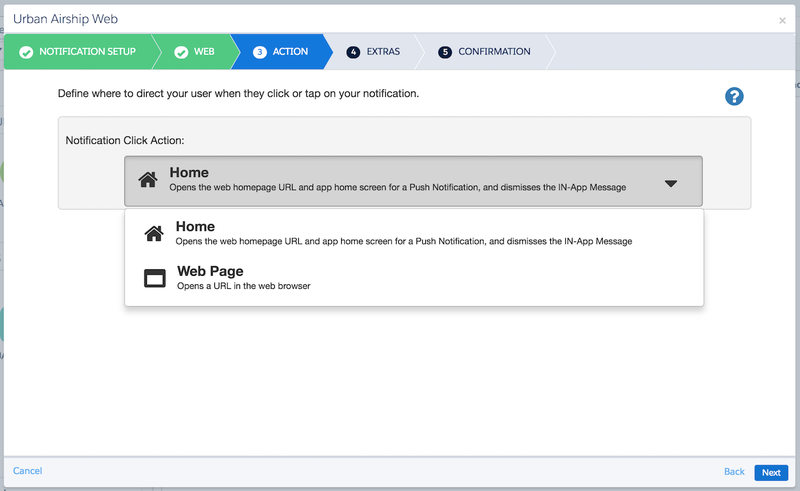 Define what will display in your web push notification. Browser message: The body of the message. Title: The text that appears above the message body. 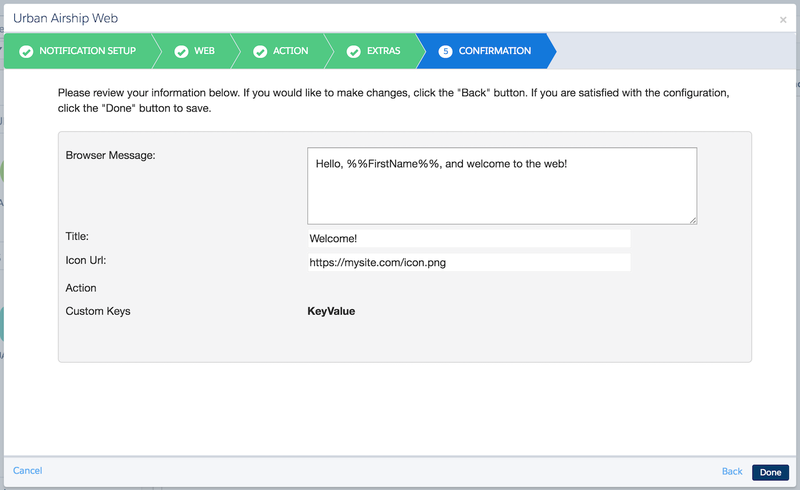 Icon URL: Overrides the icon set in Settings » Channels » Web Browsers. Optional. HTTPS is required. 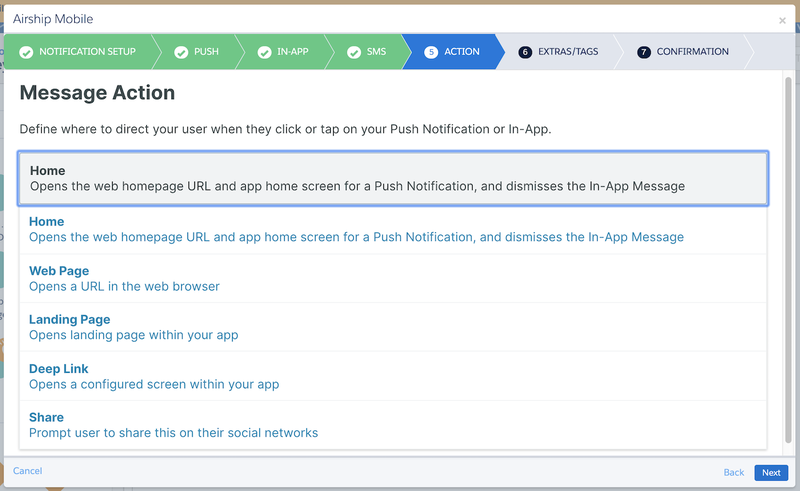 Web push notifications can be personalized similarly to Marketing Cloud email campaigns. To use personalization data, refer to fields in the Contacts model. These references use the AMPScript syntax, e.g., %%your field name%%, which will find the first field in your contact model that matches that field name and use its value for the contact's personalization.